“I understand that this particular RM3.3 billion worth of federal projects is under the Ministry Of Rural and Regional Development, of which my ministry does not handle.” – Pairin in a second statement late Friday. KOTA KINABALU – The controversial RM3.3 billion worth of water projects to Sabah, now under the intense probe of the Malaysian Anti Corruption Commission, was handled direct by the Ministry of Rural and Regional Development. In a sudden twist of events, Tan Sri Joseph Pairin Kitingan has now denied that federal funds meant for the water projects in Sabah, did not go through his Infrastructure Development Ministry. 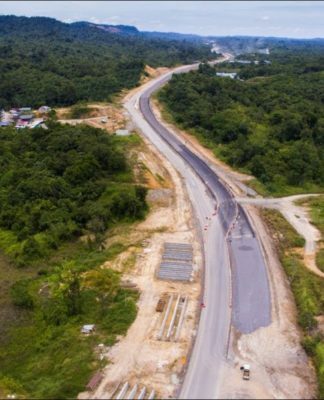 Contradicting an earlier statement sent out Friday morning, Pairin who is also Sabah Deputy Chief Minister, said the RM3.3 billion worth of federal projects came under the federal Ministry of Rural and Regional Development, (which was) once headed by Datuk Shafie Apdal. 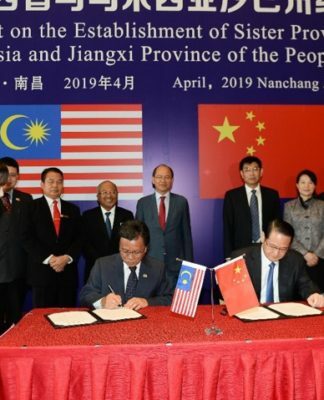 Pairin, in his second statement issued Friday evening through his office via Whatsapp, now said his ministry would leave no stone unturned in investigating two of his officers (in the Sabah Water Department) suspected of corruption and abuse of power. “I understand that this particular RM3.3 billion worth of federal (water) projects is under the Ministry of Rural and Regional Development, of which my ministry does not handle,” he said. Pairin who is also Infrastructure Development Minister said he was truly shocked when he heard of the arrest, stories and photographs being circulated in social media. Earlier in the first statement, Pairin was quoted as saying he hopes the two Sabah Water Department officials arrested for graft earlier this week, can explain themselves “properly” to the MACC so they can return to work peacefully after the investigations end. “In the meantime, we can be comforted by the law which states that a person is presumed innocent until proven otherwise,” he added. The Water Department comes under the purview of Pairin’s ministry. He said the allocations were directly channelled to the State Water Department as the implementing agency without the Ministry’s knowledge. He said the procurement of the projects as well as the payments were handled by the Ministry of Rural and Regional Development and the State Water Department. 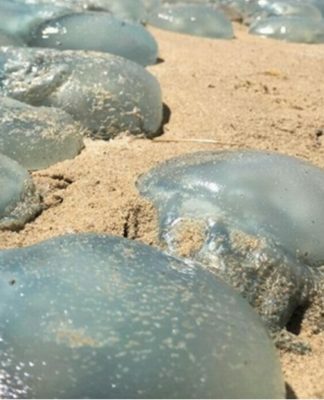 “In light of this development, my ministry will study and propose an appropriate reporting system, which will put the ministry in the loop,” he said. On Wednesday, the MACC broke the news of Malaysia’s high-profile RM3.3 billion graft investigation. 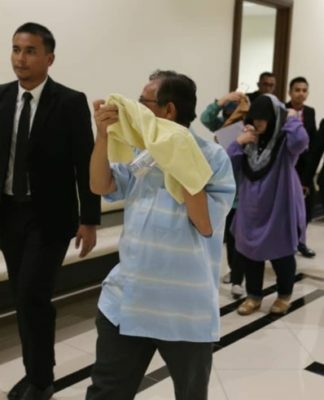 The MACC also displayed a whopping haul of RM114 million worth in cash, jewelry, land grants and branded goods that they said had been seized from the duo’s properties, bank accounts and safety deposit boxes held by them and their family from around the state capital city. Shafie was once Umno Vice President and Minister of Rural and Regional Development. Today he is waiting approval for a new Sabah-based multi-racial party. 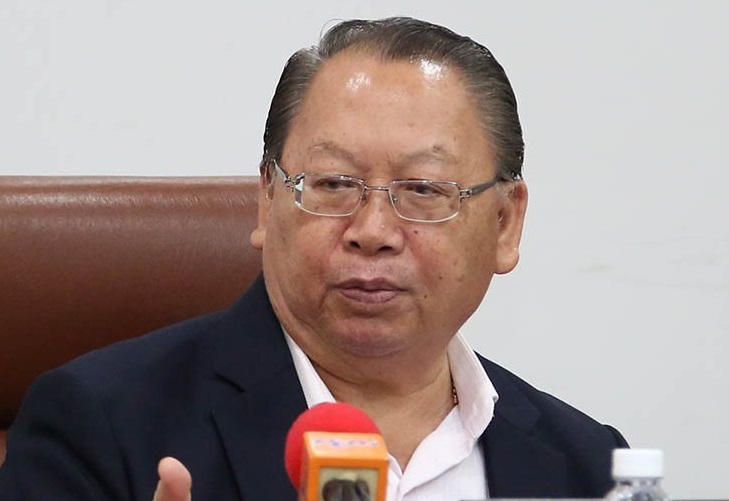 KOTA KINABALU: Sabah Deputy Chief Minister Tan Sri Joseph Pairin Kitingan said his ministry would leave no stone unturned in investigating two of his officers suspected of corruption and abuse of power. 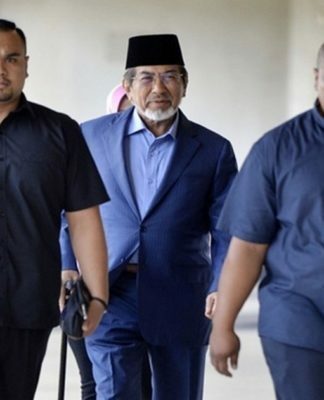 He said his ministry would extend its full cooperation to MACC in the investigation of the case. “I understand that this particular RM3.3 billion worth of federal projects is under the Ministry Of Rural and Regional Development, of which my ministry does not handle,” he said.